Mirrors are great at reflecting light around the room which will help the space to look brighter as well as make it appear bigger too. For maximum effect strategically place mirrors where natural daylight can bounce off them or next to lamps or lights. Whilst it’s important to maximise natural light, it’s also important to ensure there are enough light fittings in the room. As well as a main light for the space also consider lamps for reading as well as for creating ambience in the evening. If there is limited natural light entering the room, then it is worth thinking about investing in new windows which will more readily allow sunlight in. Modern, aluminium frames can be extremely narrow, meaning that the size of pane, and the amount of light can be maximised, creating a brighter living space. Another way that more light can enter is through the addition of glass doors such as bi-folding or sliding ones. Internal doors which incorporate glass panels, rather than solid wood can also increase the amount of light, whilst still providing a sound barrier between rooms. Clear View have been supplying aluminium windows and doors to homeowners across the country since 2010. 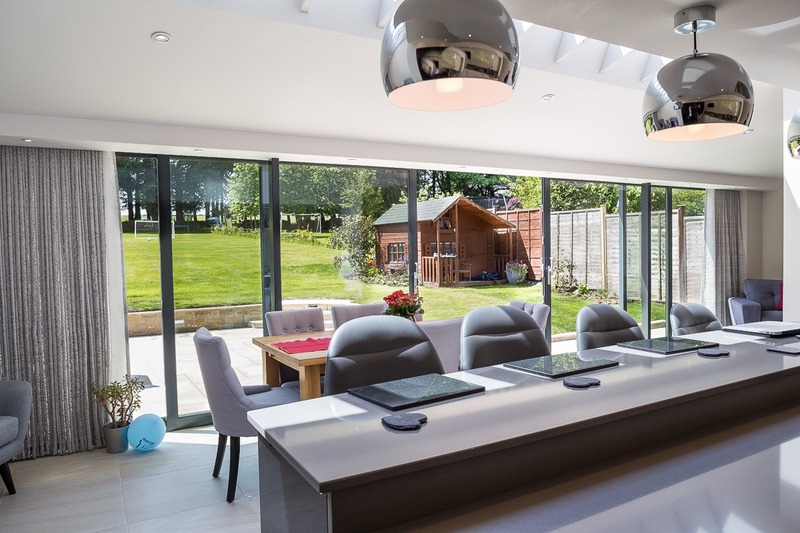 If you are thinking about transforming your home with new sliding or bi-folding doors, windows or with the installation of a roof lantern and would like more information about the different products available please get in touch today on 0800 1357167.